BB cream is hailed as a miracle makeup-skincare hybrid, and the millions of women who wear it every day show there’s more than a little truth to that statement. It was the secret of Korean beauties for a while, but it really started taking the American beauty market by storm in 2011. In this guide, we’ll go over everything you need to know about BB cream, including what it does, how to use BB cream, and what brands to buy. Just to create some confusion, there’s not one correct answer to the question of what “BB” stands for. In Korea it’s usually known as “blemish balm”, or “blemish base” which makes sense given it’s a base product for your skin. Sometimes it’s even known as “beblesh balm”, although what “beblesh” means, no one seems to know. It sure is fun to say, though! In the Western world, “BB” usually just means “beauty balm”. That doesn’t tell you much about what the product is and what it will do for you—but it sounds good! The “balm” part of the name is a little misleading. It suggests a product that’s thick and heavy, but most BB creams are quite the opposite. It’s a bit of a throwback to the original creator of the BB cream, a German dermatologist called Dr. Christine Schrammek. She developed the first blemish balm way back in 1967, as a protective balm to use after facial peels and other dermatological treatments. Can you believe BB cream has been around for fifty years? There are a lot of different types of BB cream on the market, but most companies seem to agree that BB cream is a multi-tasking skincare cream with added coverage—like a cross between a serum, a moisturizer and a lightweight foundation. It sounds magical, and it pretty much is. BB creams promise to handle all kinds of skin complaints, from evening out skin tone, to brightening, to smoothing the skin’s texture. Some BB creams even have anti-aging properties. Most commonly you’ll see BB creams that have healing properties for pimples or zits (hence the “blemish” part of the name). BB cream became popular in America and the Western beauty world after Korean TV and film stars embraced it for the perfecting effect it has on their skin on-screen. Korean starlets are the queens of beautiful, natural, fresh and hydrated skin—just picture someone like Song Hye-kyo—so people in Korea quickly began seeking out the products they were using. After Korean cosmetic companies mastered the product and it took the market by storm, the US started paying attention. Soon enough, BB cream came to Western shores and now it’s popular all over the world, with a huge market share. How does it compare to other “alphabet” creams? After BB cream became a global best-selling product, companies started coming out with other “double-letter” or “alphabet” creams. You might have seen CC creams, DD creams and even EE creams on the shelves of your drugstore or beauty salon. So what’s the difference between a BB cream, and, say, a CC cream? CC cream usually stands for color-correcting cream, or sometimes complexion-corrector cream. It’s the product to choose for someone who wants to balance color in their skin. That might be excess redness in the cheeks, even rosacea, or it could be sallowness or hyperpigmentation. Different CC creams are available for difference color-correcting needs, but the most common is one that can counteract redness in the skin, often through a green tint. Then you have DD cream. DD cream can mean “dynamic do-all” or “daily defense”. While a BB cream often focuses on blemishes and a CC cream focuses on color, the DD cream usually focuses on anti-aging. DD creams are best for more mature skins and for people who want to ward off the signs of aging, including fine lines and wrinkles. Lastly let’s quickly talk about EE creams. At this point in the alphabet, any consistency has fallen by the wayside and there’s no agreement on what EE stands for. Estee Lauder claims to have invented the first EE cream (Amazon link), and theirs stands for “enlighten”, suggesting a brightening cream that helps even out the skin tone. If you’re feeling overwhelmed by all these alphabet creams, the safest choice is to consider a BB cream. While most other double-letter creams focus on just one skin complaint, BB creams are multi-taskers that offer a lot more all in one product. Choose a BB cream if you’re not sure which one to go for, and all your skin needs will be addressed! What does BB cream do for your skin? If you’re asking “What will BB cream do for my skin?” you might be better off asking what BB cream won’t do for your skin. Most beauty products have one main outcome: your moisturizer keeps your skin hydrated; your sunscreen protects it from dangerous UV rays and sun damage. Any BB cream can do both of these things, and more! To make it easy for you to understand I’ve broken down the main things a BB cream can do for your skin, and how it does them. First of all, a BB cream will always have moisturizing properties. Feel it on the back of your hand, or on your face, and you’ll notice that your skin instantly feels hydrated and less dry. If you suffer from dryness, flaky skin or peeling, a BB cream will treat that right away. BB creams hydrate by having high percentages of moisturizing ingredients. They are almost always water-based, and the water is paired with an ingredient like glycerin to keep it in your skin and keep your skin moist. If dryness is a major concern for you, look for hyaluronic acid, or sodium hyaluronate, in the ingredients list of your BB cream. Hyaluronic acid is a molecule that can bond with up to 1000 times its weight in water, so it’s incredibly hydrating and perfect for dry and dehydrated skin types. After you’ve applied a BB cream all over your face, you’ll notice your pores might look smaller and the texture of your skin might look more even. How can a BB cream smooth your skin? Again, let’s take a look at the ingredients. Most BB creams use smoothing silicones like dimethicone to improve the appearance of the texture of your skin and make your pores look smaller. These are perfectly safe ingredients that wash off at the end of the day, so you can enjoy the benefits safely with your everyday makeup. Remember how “BB” often stands for “blemish balm”? That means your BB cream will be able to conceal and cover, and even help heal any active blemishes on your face. Whether your suffer from acne or just have a few hormonal spots, applying BB cream on top might speed up their healing. That’s great news, especially when sometimes putting foundation on top of breakouts can make them worse. For example, the Maybelline Dream Pure BB Cream (Amazon link) promises to clear acne. It can fight breakouts because it contains 2% salicylic acid, a common treatment for spots that’s completely safe to use. Learning how to use BB cream includes understanding what these active ingredients do. Because a BB cream contains some level of coverage, it will even out the appearance of your skin tone and help your skin look clearer and brighter. Some BB creams contain light-reflective ingredients to amplify this effect. The skincare and beauty market in Korea is very focused on having lighter, brighter skin. Whether you agree with it or not, there are a lot of products that can whiten the skin a little. Luckily, not every BB cream on the market will whiten your skin, but there are some BB creams that contain whitening ingredients. One very popular whitening ingredient in Korea is arbutin. Arbutin is included in many skin-bleaching and skin-lightening creams. It’s not dangerous to use, but it’s important that you consider whether you want a lighter skin tone all over before you start using a BB cream that contains arbutin or another skin-bleaching ingredient like hydroquinone. This is one of the fundamental features of every BB cream out there. You’ll notice all BB creams have sunscreen in them, and usually not less than SPF 20. Some BB creams go all the way up to SPF 50 or higher! 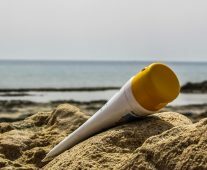 SPF shows how much a product can protect your skin from UVB rays—those are the kind that cause sunburn, and can cause the development of skin cancer. As well as having an SPF rating, you’ll see most BB creams also display a PA rating on them. This is an important thing to pay attention to. The PA rating shows how much a product can protect your skin from UVB rays, and it’s shown as PA+, PA++, or PA+++. UVB rays are the ones that penetrate deep into your skin and cause damage that you don’t notice right away. Instead, over time you’ll notice your skin showing sunspots and wrinkles. Using a base product every day that has a high PA rating will help ward off signs of premature aging. Basically, a good BB cream will protect you from both UVA and UVB rays. This means it will keep your skin tone even, help ward off skin cancer, as well as hyperpigmentation and premature aging. I bet you’re beginning to see why BB creams are described as a miracle product! The advantages of BB cream just keep coming. While we’ve been talking about skincare benefits of BB cream so far, it also has some fantastic makeup components. The ingredients in BB creams that help smooth your skin also make it a brilliant makeup primer. Put on a thin layer of BB cream before any other makeup, and it will make that makeup last longer and look better on the skin. Using a BB cream as a primer also means that you won’t need to use as much foundation and concealer. Your skin will look smooth and perfected without looking like you’re wearing a lot of makeup. Different BB creams offer different levels of coverage. Korean and other Asian BB creams usually have quite high coverage—comparable to a light- to medium-coverage foundation. These do a great job of evening out your skin tone, as well as covering dark circles or under-eye bags, spots and blemishes, without having to use a heavy concealer. You can use a BB cream as an alternative to foundation if it has a decent level of coverage, or on days where you want your skin to look more natural. Some BB creams have a lighter texture, and more natural coverage, similar to a tinted moisturizer. These are great choices for when you don’t want to look like you’re wearing makeup at all, but still want to look your best. In fact, a lot of men wear these types of BB creams and you can’t even tell they’re wearing makeup! The method you choose to apply your BB cream with will depend on how you want it to look, and what level of coverage you’re going for. Let’s work through them from least coverage to most. The most natural way to apply BB cream is with your fingers, just like you’d put on a moisturizer or other skincare product. To begin with, you want to make sure your fingers are clean! Squeeze or pump a little onto your fingertips and dot it around your face, focusing on the areas you want the most coverage. Then rub the product gently into your skin, making sure to blend it thoroughly around the edges of your face and around your eyes and nose. You can pat your fingers over your skin to avoid pulling at it. This will also give you a nice dewy, natural finish. Applying BB cream with the Beauty Blender. Applying a BB cream with a sponge will give a bit more coverage. 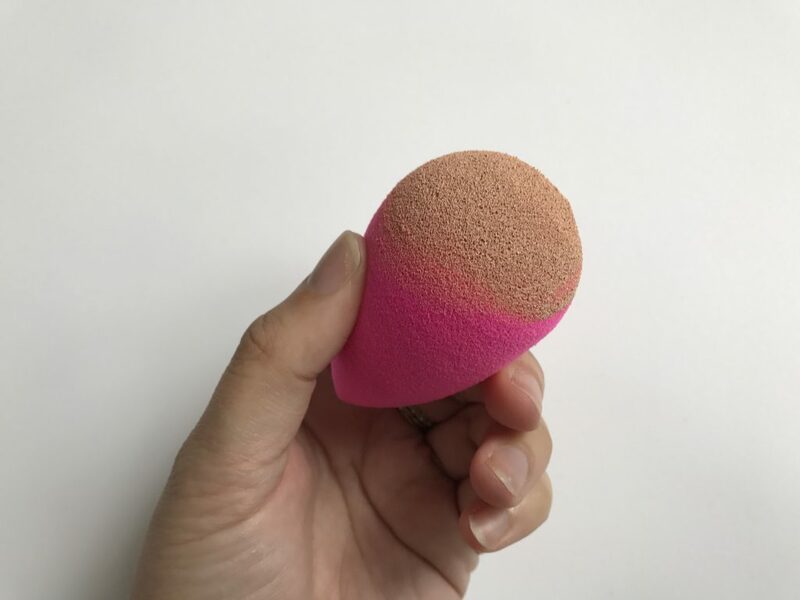 You can use a small disposable wedge sponge, or a popular makeup sponge like the Beauty Blender (Amazon link). First, make sure your sponge is wet. This will stop the sponge from soaking up all the product. It will also give a nice even application on your skin. You can dispense the product directly onto the sponge, or use your fingers like the method above to dot it around your face. Then bounce the sponge across the skin to distribute the BB cream. 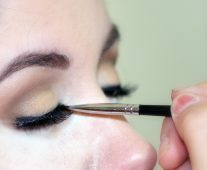 Use the corners or narrow end of the sponge around your nose and underneath your eyes. Apply more BB cream directly to the sponge if you want to build up the coverage in any areas where you might have redness or spots. You can use the same sponge directly after if you’re planning on wearing more makeup over the top of the BB cream. A cream blush or bronzer applied with the same sponge will give a very natural, flushed effect—very popular in Korea. You can always treat your BB cream exactly like a foundation and use a brush. The shape of brush you use will determine how it looks on your skin. If you use a duo-fibre brush it will give a very natural, lightweight finish on the skin. Duo-fibre brushes have two lengths of bristles, one to apply the product and one to work it into the skin. For greater coverage and to apply BB creams that are thicker, a flat-top “kabuki” style makeup brush works best. These have a dense, flat area of bristles which will spread the product across the skin and build it up to a full coverage look. This method of application is best if you want to use your BB cream as a base for other makeup. Dr. Jart+ BB cushion cream. Find more BB cushion creams here. More recently, cushion-style BB creams are coming to the market. These are contained in a little compact, and a product-soaked sponge dispenses the product. 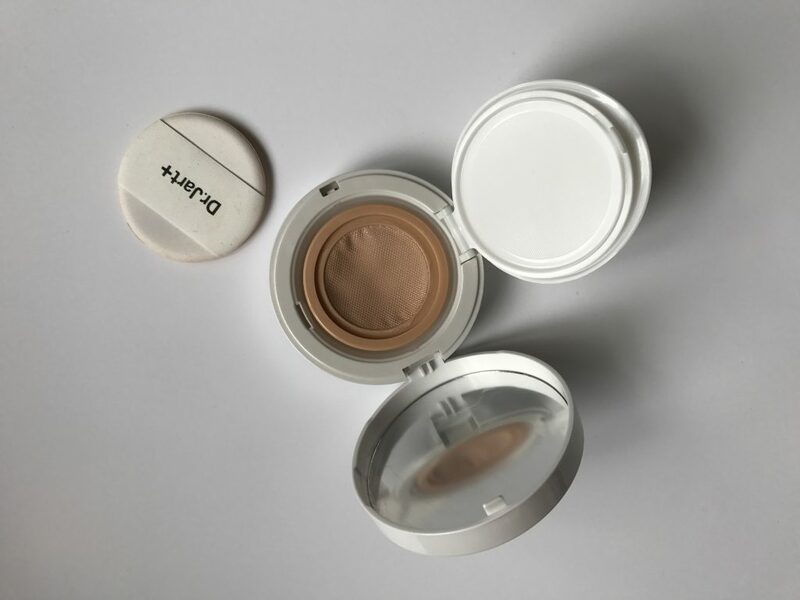 Cushion compacts come with a small powder-puff style applicator which you press into the product and then press or roll across your face. This is another way to build up coverage with your BB cream or just apply it to select areas. A key point in learning how to use BB cream is know when to use it. A BB cream is the perfect product to have in your makeup bag for when you want your skin to look a little better than it does bare, but not look like you’re wearing a ton of makeup. Throw on a light layer of BB cream, some mascara and a tinted lip balm for the weekend, whether you’re popping out for brunch, running some errands or even just taking the dog for a walk. It’s a relaxed look, and if you’re going outside the sun protection is a must! We all know we shouldn’t wear makeup to the gym, but if you get beetroot-red after working out, you’ll want a little coverage. Because BB cream has such good staying power, it’s a great choice for wearing to the gym. And if you’re working out or going for a run outdoors, again, the sun protection is a saving grace. If you’re just getting into makeup, or if you’re in middle school or high school and aren’t allowed to wear makeup to school, BB cream is a good compromise. 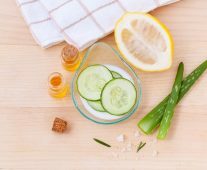 It’s a great way to take care of your skin and still give it a bit of color. If you’re dealing with teenage hormonal acne, a BB cream that treats blemishes will even help with that! Swatches of different BB creams. There are so many brands of BB cream out there, it’s hard to know where to start. Luckily, we’ve done the research for you and can recommend some of the best BB creams available, no matter what your skin type or skin need is. It all started here, so let’s talk about the best Korean BB creams first. The Laneige Snow BB Cream has SPF 41 and PA++ protection. It’s lightening and brightening, and comes in a shade range light enough for even the palest skin. Laneige is one of the most popular brands of BB cream, and with Song Hye-kyo as the face of the brand, you know it’s gotta be good. Liole is a Korean brand that’s been around since 2003, and they offer a range of BB creams. 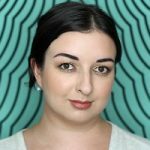 The Liole Triple the Solution BB Cream (Amazon link) is a favorite of popular YouTuber Shaaanxo, and you can see her using it in a lot of her beauty tutorials. Shannon rates the Liole Triple the Solution BB cream for its high coverage and performance as a foundation primer. Skin79 (Amazon link) is one of the most popular BB cream brands, and for good reason. They offer a huge range of beblesh balms so there’s one for every need and skin type. Their products come in fun, bright-colored pump bottles and all have high sun protection, as well as offering good coverage. If you’re not sure where to start with BB creams, look at Skin79. The Maybelline Dream Pure BB Cream (Amazon link) includes acne-fighting ingredients so it can help heal while it covers. It’s best suited for oily or combination skin, which is the most common skin type for teenagers anyway. It’s really affordable too, which helps! While anti-aging isn’t the number one function of BB creams, it’s a nice bonus. If you have mature skin and want a BB cream that will help slow the signs of aging, try the Garnier Skin Active Miracle Skin Perfector BB Cream (Amazon link). It’s available in multiple skin tones, and promises to immediately firm and brighten the skin for a younger and healthier look. There’s a lot to know about BB creams, and we hope that this article has taken you from a beginner to someone who now knows what to look for in a BB cream. We’ve gone over what makes BB cream unique, how to use BB cream, and what brands to explore first. Once you’ve tried a few, you’re bound to find a BB cream that’s right for you. About the author: Morgan Ashworth is a New Zealand-based makeup artist and Korean beauty lover. You can find her rambling about all things beauty at Hyacinth Girl. BB creams are only the beginning. Learn more about Korean moisturizers, exotic snail creams, and more at our Korean cosmetics portal. Or check out the CC cream cousins.